The problem - because there is always a problem before the start of a project: I wanted something Venetian for Halloween - living here in Veneto- but I didn't want to do the 1550's/1560's thing because I'm trying to lose weight again. I wanted a dress that will fit for a while - which are typically the higher waisted gowns. However, I have a TON of the early 16th C gowns and didn't want to add another to my already bloated collection. Solution? The sleeves are detachable. There is a seam at the back sides but it looks like it has a zipper (not very Renaissance...) up the center back. Because I want to wear this to SCA events later on, I'm just doing lacing at the back sides. Also, it helps with losing/gaining weight that way. The skirt is gathered around and appears to really be just the typical rectangles with maybe some extra in the back. Again, SCA events, I'm just doing rectangles because trains and SCA events do not mix. Ever. 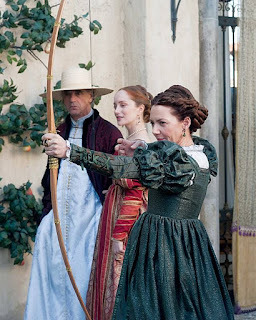 Really, the only thing you need to do to the above pattern to make it perfect for 1490s/1500s is take out the darts in the bodice. That's really it. The skirt is already just three rectangles put together. I modified it slightly more than that - the shoulder straps are a bit long and the neckline is umm...more early 1520s and not sensible for anyone more than an A cup? So I raised the neckline, cut the straps slightly, also made the width a bit tighter, and I drafted out the darts so I could use this as a base. The base! I knew I had to add an inch or two to lengthen the bodice; I also wanted to move the side seam a bit and square out the neckline. So, first, I drew around the existing base in brown marker. Then, I took a red frixion (the kind you can erase!) marker and matched up the existing base back with the brown outline I just did. I wanted to mark where I was moving the seem on both pieces and make sure the curve of the armscye was preserved. I only moved it over an inch, really. You can see the new "red" outline for where I moved the seam over too. Inversely, on the back piece outline, I drew a red line to mark the new back side seam. This picture is a bit hard to see but I squared off the back neckline. I ended up doing the neckline in the back even deeper than this once I tried the mock up on. However, the red lines mark the new template. Front side bodice piece! It has the new squared neckline and is lengthened. However, I realized when I tried to draw the correct length for the back piece that I didn't have enough room. I ended up erasing the back piece and redrawing it all a lot higher on the paper. New back piece as well!!! Comparison to the original bodice front, with the dart pinched and the new bodice front for the 1530's dress. It's a lot longer and the neckline is higher. Still, I realized I had a couple more issues that needed fixing still. The underbust/rib cage waistline was 2" smaller than my actual rib cage. My ribs do not shrink like my waist will. They just don't. So I ended up adding a bit to the bottom of the bodice so I can breathe. Also, I didn't like the shoulder strap angle on the front bodice piece so I changed that as well. The lining fabric! I'm using teal silk dupioni for the lining. The actual dress is out of the fabric pictured below. This is going to be the skirt front. It's just a 45" cut of the fabric. The pink silk is silk I had on hand that I thought went well with the lighter gray/silver silk. The dark lines are hunter green velvet trim. This is the fabric for the upper sleeve as well as some trim ideas for it. I like the idea of the pink with the silver trim. I ordered some light green trim but it's not good for anything more than knitting or crocheting - it's recycled sari ribbon that was sewn together hastily. I might check out the trim store here in town but, this is the direction I'm going so far. Although Halloween in Italy is very different from what it is in the US, I thought I'd still do this PSA. Some of you might see this a couple of times because I'm trying to get the information out before everyone buys up their Halloween treats. 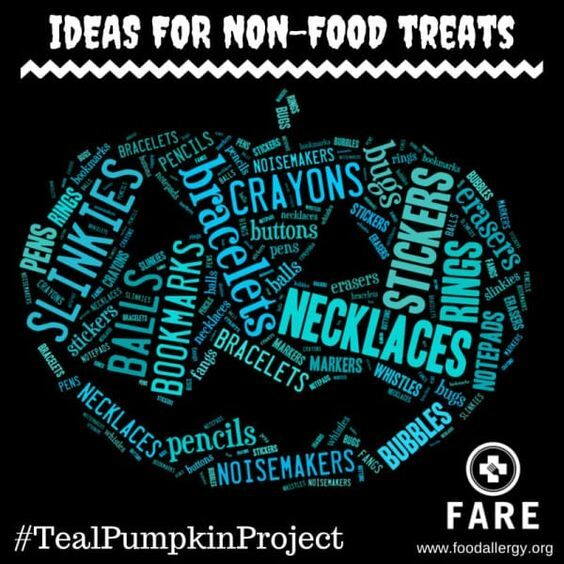 The Teal Pumpkin Project is all about food allergies. My nephew has it way worse than me. (It's not like people regularly hand out buckwheat and tomatoes at Halloween.) Oldest nephew is allergic to peanuts and eggs. No reeses, no mr. goodbar, no paydays... he typically has to give up on well over half his bag if not more because of allergies. By putting out a teal pumpkin, it means you have allergy friendly treats available. I always gave out play-do in the States (80 cans are about $35. Even the big kids love play-do) but other fun things are Halloween Stamps which are 50 for $10.95 or whistles or even those spider rings that I scared my Mom to death with accidentally when I was a kid. :-) The Teal Pumpkin Project has a lot more idea for fun treats that aren't expensive. This is a super picture heavy post but, hopefully, it will be helpful! Please, if you use any of the images, make sure to credit me and feel free to link back to the blog as well. Here, you can see several donors and a couple of kids. Center left is Mother Mary with possibly James and Mary Magdalen. I'm not sure who is supposed to be at the foot of the cross; perhaps Martha or Saint Helena? This is the right wing of the Triptych. Another three donors, possibly the Mom and two daughters? Lucas Cranach's Crucifixion from between 1508-1510. Mary Magdalen is wearing a green velvet with gold dress at the foot of the cross. Mother Mary and the other women are behind her. Green has long had a reputation of being associated with ladies of the evening so it makes sense that Mary Magdalen would be shown wearing that color. Close up of Mary Magdalen. I love this because of the lady's dress. She has a clearly red front piece with a very, very pink gown. Close up of her bodice and sleeve. 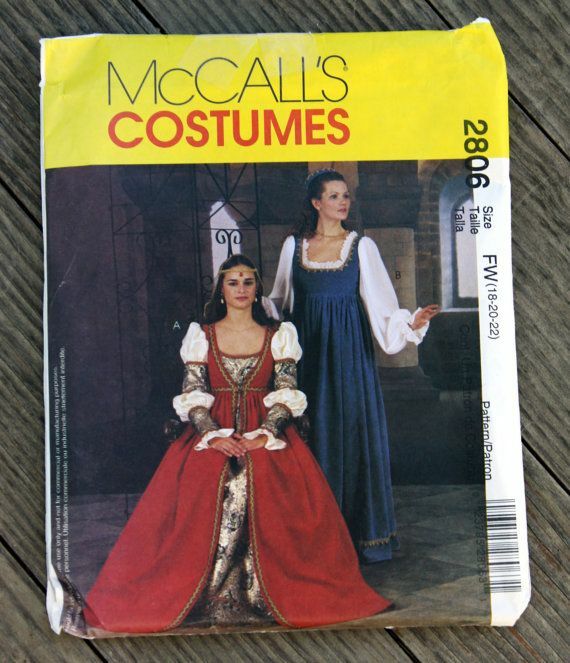 Also, notice it's not super stiff - she probably has on a bra of some sort with just the chemise, stomacher/front piece/whatever you want to call it, and the gown. She also has a sheer partlet/scarf around her shoulders. Hans Holbein's Sunday view of the Frankfurt Altarpiece from 1501. The piece was huge. This is the overall look. I focused on getting close-ups of the bottom piece. It starts with Palm Sunday and then the Cleansing of the Temple. In this one, the Cleansing of the Temple is on the left with the Last Supper on the right. This is just a slightly better picture of the Last Supper. Jesus washing the feet of his disciples with part of the Agony in the Garden. A much better look at the Agony in the Garden. I love all these because of the richness of the colors. Yes, there are a lot of blues but also a lot of greens and reds/pinks. They did have colors! This is a close up from the lower right panel of the altarpiece. It shows the three women carrying jars to anoint and clean the body of Christ on Easter Sunday. I am in love with the white dress. It's hard to see here, but in person, you can see the pins holding the dress front closed. The lady in the red veil has on a nice darker green dress that just would not come out in the photos. This guy is from the far left panel of the altarpiece and I love his teal, lemon yellow, and pink scarf outfit. I can easily see a guy today wearing a shirt with the same print as his tunic and a pair of blue jeans. Conrad Faber von Creuznach's Double portrait of Justinian von Holzhausen and his wife Anna from 1536. Close up of her green dress with black velvet trim, lined in red silk. Close up of the mirror reflection showing the back of her hat. Close up of her hat and chemise. Mathis Gothart Nithart's painting of Saint Lawrence and Saint Cyriacus from 1509/1510. Saint Lawrence who is the guy, during his martydom, quipped "Flip me over, I'm done on this side" while being grilled - literally. Saint Cyriacus was a Roman era martyr who is credited with exorcising demons. Close up of her dress. You can clearly see the dog-legged closure for the gown. Both full length portraits! These are so incredibly rare - particularly of someone that isn't royalty. Close up of the woman's bodice and closure of her dress. Better close up of the dress. It's clearly out of watered silk (moire) in person with velvet trim and a fur lining. Han Holbein's Portrait of Simon George of Cornwall from the late 1530s. This was on the backside of the altarpiece and would have been seen when the altarpiece was shut. I love the little boy's gown in the green and pink! The gentleman is wearing a wide sleeved coat, lined in a very bright pink, with green hosen. The lady has on a red gown that's hard to make out but she does have an early French styled hood on. The guy has on a pink, yellow, and blue outfit with red hosen. The lady has a gold gown lined in pink silk. Here is the full altarpiece showing the Annunciation, Mary visiting Elizabeth, the Nativity, and the death of the Virgin. Mary, in blue, visiting Elizabeth, in purply plum and red. The crucifixion from 1500 (sorry for the blurry photo!). This is actually a very famous triptych that I know circles around the SCA like wildfire. The left panel. There is so much wonderfulness in this. Starting with the lady on the bottom left: the green cloak, the blue kirtle with short sleeves and the wide red sleeves under. The white veil wrapped around her head. It's all awesome. Veronica wearing the wrap hat (this is seen in several other paintings of the time to the point I made a page about it YEARS ago. I think I last updated the link about 10 years ago? Anyway, this is shown in the link as well with the dates being about 10 to 20 years earlier than what the museum now says. This is from the right half of the left panel. I actually like the pleated white dress with the red sleeves. This dress is very famous in the SCA garbing circles. The red kirtle is open in the front and shows that the lady is wearing something black underneath. The black, however, only extends to the waistline. It's now thought this is just an underbodice/bra. Also, the green sleeve is pinned to the short red sleeve. Mary and probably one of the other Mary's or Martha. This is from the center, I think. I wanted to get some good photos of the guys' clothing as well. Center showing a wide variety of colors. Center and I'm a sucker from stripes. Showing peasants wearing rags, as with the guy in blue, was common. It's rare to see patches although they do appear once in a while. Lucas Van Valckenborch's View of Antwerp with the Schelde Frozen Over from 1593. I had to get a close up of the lady in yellow who fell down. Notice her red muff to the side and people rushing to help her. Good old fire to roast things on. Hot Chocolate was still an upper class drink at this point (it did exist!) so maybe chestnuts? Gotta bring more wood for the fire. Here, you can see the lady with the firewood on her head's jacket and red wool (?) petticoat. There is also a black line at the hem. The more upper class couple have long cloaks on and hats. I want this sleigh. That is all. Lucas Van Valchkenborch's Winter Landscape with Snowfall near Antwerp from 1575. Patches! The kid almost out of view has blue patches on his/her cloak. Also, s/he appears to have a knit cap. Just warming up near the fire. Not a bad idea. Pink pants with a red doublet. The family appears to be middle class or upper middle class. One of the things I always forget to do to my own garb and something I've rarely seen are those black bars at the bottom of the skirt. They appear to be common in period for those with any sort of money. I'm not even sure what is going on but it does look fun. Pieter Aertsen's Market Scene with Christ and the Adulteress from 1559. I LOVE the market scene paintings. I really adore this one because the common folk are upclose and you can see the details of the clothing. Straw hat, yellow underdress, blue overdress, pink apron and sleeves, partlet, and you can see how the dress is laced easily. The girl in the background has her hair sewn up with ribbon, a black partlet and apron, and a red dress. Olive green sleeves that are pinned on. I love this old woman. Ankles are totally period. And see the wooden clogs the guy is wearing! They both look quite relaxed. Her outfit is almost camouflaged for her stall. The adultress is wearing an upper class style gown. The lighting made it hard to get a good photo. Close up of the pinned on sleeve and the waistline of the lady in the center front. The fuzzy pink hat. I know there are tons of guys in the SCA that would love to make this. I really want this to be a thing now. Mount Calvary painted between 1435-1445. This is of the full painting. Notice the amount of colors! Greens! Blues! Pinks! Reds! Oranges! Yellows! Heck, the guy directly behind the Cross is wearing purple with a green hat! But it's this guy in front of the cross that made me smile. Unfortunately, there are still some in the garbing world who are under the belief that back lacing wasn't a thing until the mid 16th C. See the guy in yellow? Yeah, his armor is backlaced. It's probably allegorical but the concept of backlacing existed at least in the early 15th C.
Mother Mary, James, Mary (or Martha), and Veronica. Close up of the right side of the painting. And that's it! My album of all the photos I took in Germany is through the link. Again, if you'd like to use any of the images, please either link or document to this page. I hope these help!